FirstPractica covers several markets and product categories in which we specialize. Knowing the products at the technical and business level helps clients better understand the selection criteria, and help make the right decisions. The majority of web pages that users access on the internet today originate from a web content management system. The most popular platform, WordPress, serves about one third of all internet web pages. Enterprise content management systems: a subset of CMS players focus on the enterprise use cases, with a focus on security, extensibility and business-grade support and services. They also seek business partnerships and technical integrations with other vendors, for example CRM platforms. Sample vendors: Episerver, Sitecore, Adobe Experience Manager, Acquia, Oracle CMS, Automattic. Packaging and Hosting platforms: Making the CMS easy to deploy, and running it as scale is the role of packaging and hosting platforms. Sample vendors: Bitnami, WPEngine, Pagely, Amazon Lightsail, Amazon AWS, Google Cloud, Microsoft Azure, GoDaddy Hosting, Bluehost. Emerging technologies include Accelerated Mobile Pages (AMP), Progressive Web Applications (PWA) and many more. Google, Facebook, Microsoft and Baidu play a significant role in the discoverability of content. Marketing cloud and marketing automation platforms: these tools include means of communications with prospects and existing customers, including email, push notifications on mobile devices, SMS/text messaging, as well as the orchestration tools for marketers to define the customer’s journey (example: if a user puts a product in the shopping cart but does not complete the purchase, send them a promotional code a day later). Sample vendors: Marketo, Salesforce, Sendgrid, Mailchimp, Urban Airship, Twilio, AWS SES and SNS. Sales pipeline and campaign management: this is the historical core of CRM, covering sales clouds, sales applications, going from lead, to opportunity, to closed deals. Sample vendors: Salesforce, Microsoft Dynamics CRM, Oracle CRM, SAP CRM, Zoho, Sugar CRM. Sales forecasting and compensation: sales operations, often abbreviated as sales ops, often leads the initiatives related to making forecasts, drawing incentives and tracking compensation plans for sales teams. Customer data aggregation, data synchronization and transfer between applications: this is the field of ETL products, extract transform and load, as well as connectors and APIs. Sample vendors: Salesforce Mulesoft, Talend, Informatica. Customer support covers the post sale interaction between vendors and their customer base, with a category of products known as service cloud. Service clouds offer self service knowledge base software, live chat, and ticketing software with a workflow similar to opportunity management (start as unresolved, finish with purchase or issue closed). Sample vendors: Zendesk, Zoho, Salesforce Service Cloud and Salesforce Desk.com, Microsoft Dynamics. Infrastructure as a Service (IaaS) provides the most flexible and cost effective compute platform available today. It represents the raw ingredients in a kitchen, available for cooks to select them in the right quantities, mix and match them, and cook them. Sample vendors: AWS, Google Cloud Platform, Microsoft Azure, Alibaba Cloud. Platform as a Service (PaaS) provides a higher level of abstraction, removing much of the developer operations (DevOps). This allows dev teams to focus on the application layer and deal with less infrastructure tasks. Adopting this strategy removes some of the flexibility in application design and scaling, and trades labor costs for higher platform costs. Sample vendors: AWS Beanstalk, Lightsail, OpsWorks, Google App Engine, Microsoft Azure PaaS, Salesforce Heroku and Force.com. 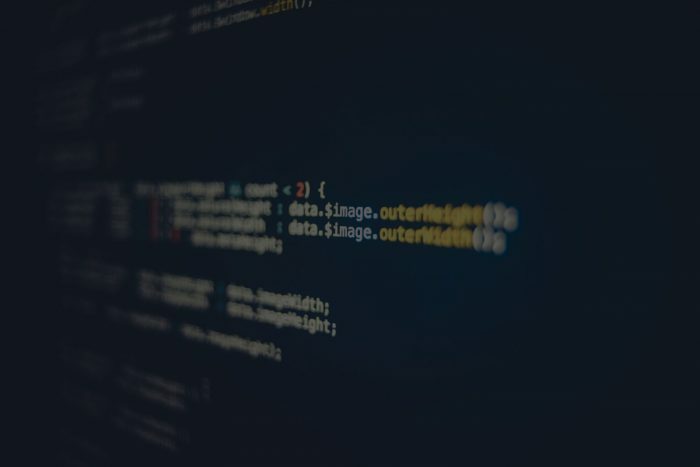 Low code application development platforms & no code workflow platforms: Abstracting one level higher, some vendors offer products designed for the business users, power users and occasional developers to build applications with little to no coding skill. Sample vendors: Mendix, Appian, Pega systems, Outsystems, Salesforce. Serverless computing, also referred to as function as a service (FaaS), abstracts all compute resource provisioning, allowing developers to code their applications by requesting resources on a service level agreement (SLA) basis. Similar to PaaS in spirit, the implementation and tradeoffs are different. Sample vendors: Google functions, AWS Lambda, Azure functions.